21-79 CFM DC cross flow fans generate up to 79 cubic feet per minute of airflow and produce minimal vibration to reduce noise during operation. Our DC cross flow fans are lightweight and have a compact footprint for installation in tight spaces and can be modified with value-added features to meet your unique specifications. Y.S. Tech U.S.A. provides DC cross flow fans in 7-54 CFM and 21-79 CFM options and AC cross flow fans in 10-86 CFM, 36-190 CFM and 20-223 CFM options. 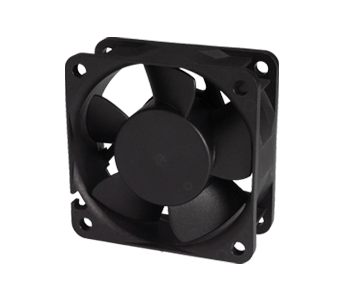 Our AC and DC cross flow fans are constructed using quality materials and components for durability and reliability. Both ball bearings and sleeve bearings are used in fans. Sleeve bearings are designed to be mounted in a horizonal position and are best suited for operating temperatures under 70°C. Sleeve bearings are typically cost less than ball bearings but also have a shorter lifespan. Ball bearings provider a longer life span and provide quieter operation at high speeds. They can be mounted in any orientation, use thicker lubricants and have a higher operating temperature range than sleeve bearings. Class E insulation is typically comprised of materials that can withstand temperatures up to 120°C including polyurethane, polyethylene terephthalate and epoxy resins. 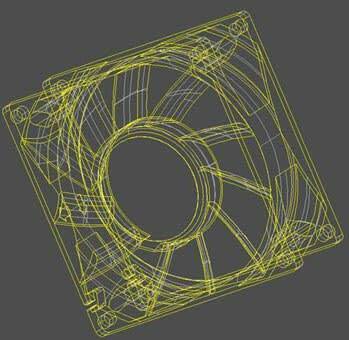 This class of electrical insulation is used to protect wires, motors and other components in DC cross flow fans. AC Shaded Pole motors: single-phase “squirrel cage” induction motors featuring a copper ring auxiliary winding that surrounds each portion of a pole. They are self-starting and rotate in a single direction. AC Capacitor motors: create a rotating magnetic field by altering the current to one or more windings. The magnetic field then produces torque that causes the motor to rotate. DC Brushless motors: feature a copper wire coil electromagnet installed in the stator and stationary magnets that are attached to the rotor. A circuit energizes the coil to create a magnetic field, which then repels the magnets and causes the motor to rotate. The metals frames and rotors for our cross flow fans are constructed from die-cast aluminum, which is a lightweight yet strong material that resists heat and corrosion. All DC cross flow fan electrical connections are made from durable lead wire for effective power transfer to the fan motor. Our value-added features allow you to further customize your DC cross flow fan to meet your specifications. Request a consultation with one of our experts to discuss your unique requirements. In addition to our standard motors, we offer industrial blower motors from 100 CFM to 3,000 CFM to accommodate high output applications. Contact Y.S. Tech U.S.A. to learn more about our DC cross flow fans and AC cross flow fans offered in a range of sizes or request a quote for a cross flow fan today.